Growing various types of foods at home is a great way to be self-sufficient. You can grow a lot of fruits and vegetables like tomatoes depends on a lot of factors. 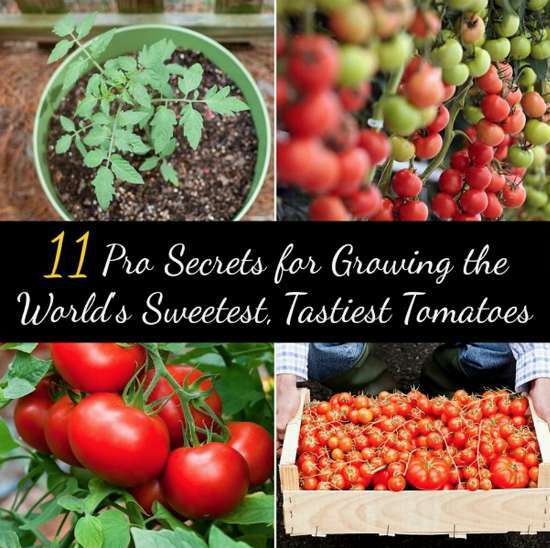 Growing the tastiest tomatoes is not very hard to do if you know the secrets the pros use. The key to being able to grow the tastiest tomatoes is knowing what will grow the best in your location or area. Some geographic areas are better suited for certain types of tomatoes than others. You will also need to have the proper soil and a way to water the plants. A lot of work and effort is needed to grow the tastiest tomatoes. You will need to prepare the soil, the plants and perform ongoing maintenance during the growing season to see the best results. Trimming is also needed for the tomatoes to allow them to grow larger and be a lot tastier.